The M83 Music Video Trilogy – Midnight City, Reunion and Wait. While some may debate whether music videos can be a form of art I believe that they can be and this is because they are able to have a plot, even though it is within a considerably shorter time frame than a full-length film. Additionally, they can create wonderful images, more so when there is a big budget, which the following videos have. Finally, they do make you think about what is happening or what the visuals and lyrics mean, something that I was doing when watching the third video in this article. Five music videos have already been mentioned on the Pigtails website and I have decided to add a few more. 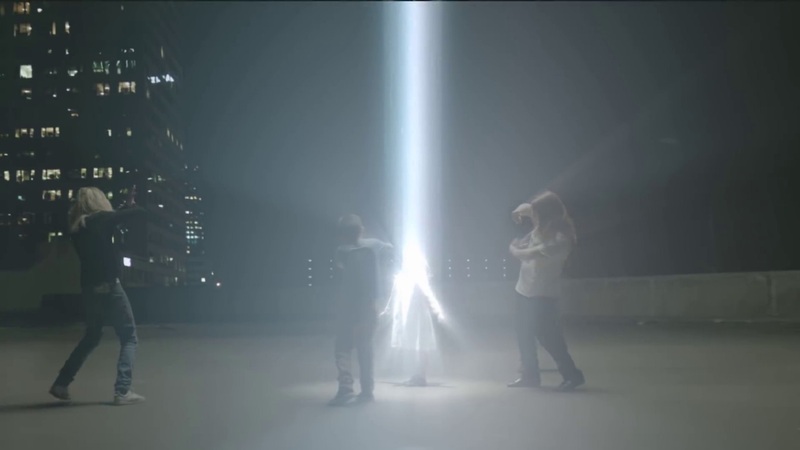 The following three videos were created by the directors Fleur & Manu with music and lyrics written by M83, more commonly known as Anthony Gonzalez. The videos are of the narrative style and can be watched either as a loosely strung together trilogy or can be viewed as individual, though basic stories. The lyrics that appear in the videos are not related to the videos in any way, though I do recommend listening to them as well. The lyrics for Wait in particular are very moving and after reading the comment section this seems to be a widely-held feeling. Other than being artworks, these videos belong to this website due to the depiction of female children in them. In the first video, entitled Midnight City, we are introduced to the main characters of the story and what they can do. At the beginning of the video we see a young boy being walked through a classroom full of children. On closer observation the children appear to have telekinetic abilities with one levitating objects while others read minds and distort television signals. The boy clearly does not want to be there so, using his telepathic abilities, he tells the other children they are going to escape. 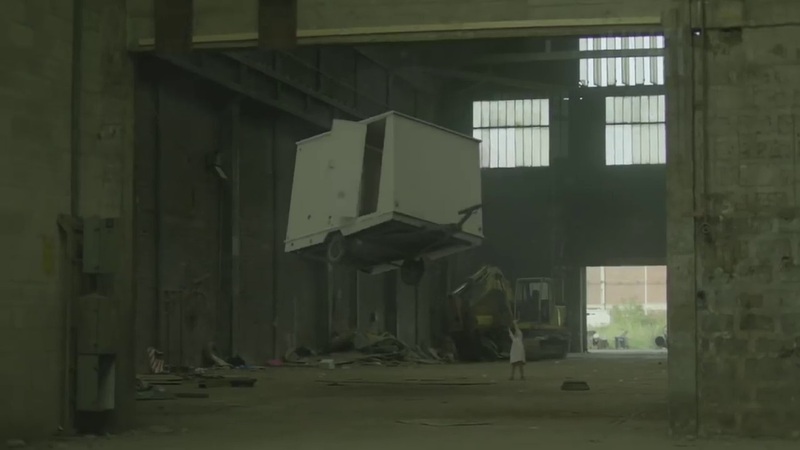 In the next scene it is now nighttime and the children are standing in front of a door, which they destroy and then run out of the building. Running through the woods they are chased by some of the scientists, however they escape and by the time morning arrives they have discovered an abandoned warehouse. They enter and proceed to run amok, using their powers to move around objects, the youngest child finds the biggest object there, a caravan, picks it up and throws it into a wall. They eventually make it onto the roof where they perform their biggest show of power: they make the sun set; this is the final scene and it moves on to the next music video. 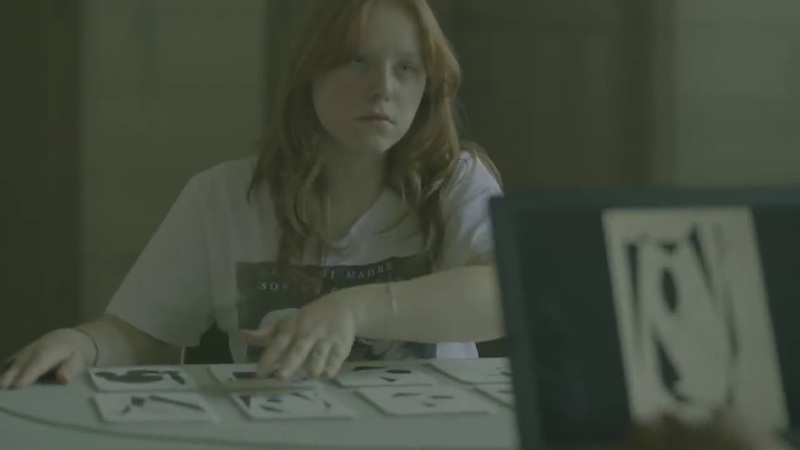 While the first video focuses little on the female characters—they are simply individuals within the larger group—in the second video, entitled Reunion, a female child takes the lead role. In this film the story continues and we find out that one individual, a girl, was left behind and she is being controlled by the scientists; it is not revealed whether this control is through intense brainwashing or via the machines that are connected to her. The mind-controlled girl, whom I will refer to as Apollonia, takes possession of the weakest of the runaways and lights her up like a beacon, which simultaneously sends a signal to the scientists control room and reveals the location of the runaway. The scientists send a team of people out to canvas the area where the signal came from to hopefully find them. Meanwhile the children start to run again; one girl tries to stay with the now unconscious female child but is convinced to leave her behind. 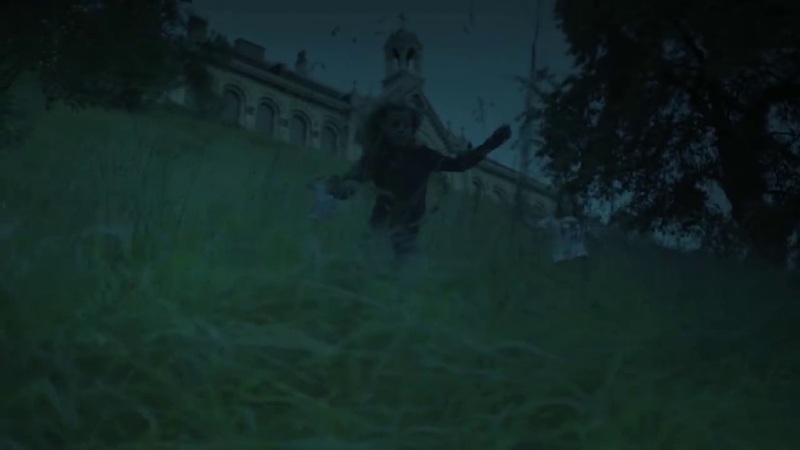 There is then a chase scene which is limited to only thirty seconds (the full video length is less than five minutes). When the runaways are finally cornered, the boy who encouraged the escape in the first video, tells everyone to stop and fight the chasing car. Unfortunately for the runaways the girl possesses the car driver, which in turn gives him telekinetic abilities. 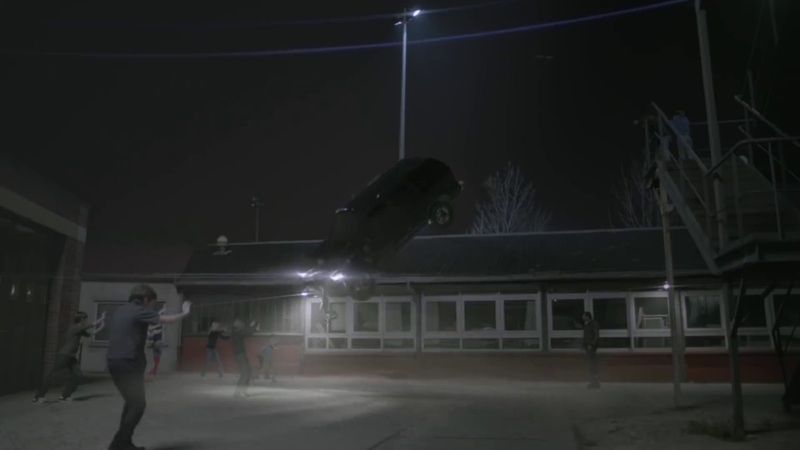 The car driver then gets out of the car, levitates it above himself and throws the car at the runaways. They successfully stop it, however, this now creates a tug-of-war situation with the car hovering between the runaways and driver. The scene also shows that Apollonia’s powers are equal to several of the other children’s abilities, something that is important to know when watching the third video. The escapees win the battle and launch the car back at the driver, crushing the driver and simultaneously breaking the mind control of the other girl. 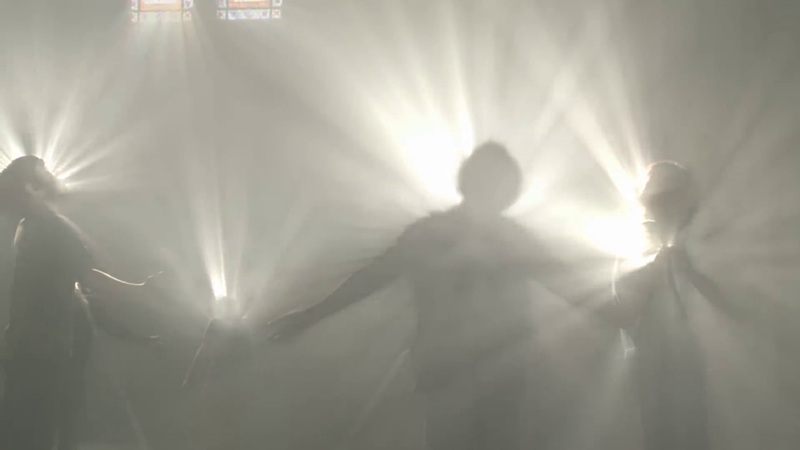 They then enter a church and light themselves up—though you need to watch the third video to find out what is happening. The third video, entitled Wait, is by far the best video and can be watched as a stand-alone story. The highly professional acting continues and as the story is no longer restricted to the city we get to see some impressive cinematography, with large scale landscape scenes; this further enhances the argument that these music videos can be a form of art. As the music video is only five minutes long, the behind-the-scenes video, which is also five minutes long, should be viewed to get further insight into what is happening. The first minute and twenty seconds of the music video shows where the runaways have gone, they are within futuristic pyramids that are floating in space, therefore they have all survived the previous video. Apollonia has been left behind on Earth, which is now in a state of decay. From the behind-the-scenes documentary, we can presume several dozen or maybe hundreds of years have passed since the second music video, although the child has not aged. We then get to see the remaining humans fighting each other and there is a large explosion, not caused by the remaining girl as we next see her within an an undamaged landscape dressing herself in a sheet she has just found. Several thousand years pass and Apollonia is shown walking though a desert landscape (good cinematography here) where she catches and saves the last drop of water on Earth, as stated in the behind-the-scenes documentary. The documentary also states that the video is about cycles of decay and regeneration and as we are now in regeneration mode the pyramid containing the boy starts travelling back to Earth. The rest of the film show the boy travelling back and crash-landing on the planet while the girl waits for him. What isn’t mentioned is how much is natural decay then regeneration or how much is caused by Apollonia, it would be nice to think of her, a young girl, being Mother Nature. Another reason I chose to mention these artworks are because of modern society’s desire to find and display powerful females and with this one possibly destroying then rebuilding an entire planet; it would be hard to find a more powerful creature. These three singles come from the album ‘Hurry Up, We’re Dreaming‘, released by M83 in 2011. This entry was posted in Fleur and Manu, Music Video and tagged Allegory, Child Prodigy by Arizona. Bookmark the permalink.